Nov. 7, 2011 should be remembered as the date when Amgen resigned its charter membership in the biotech growth club and joined Big Pharma. For better or worse, Amgen, based in Thousand Oaks, is no longer the upstart that for decades broke the mold for a biotechnology innovator — and greatly enriched the investors who bet on its success. Its indisputable focus is now on generating cash, not cures. After it took Wall Street by surprise on Monday by announcing a stock buyback and debt offering, it is now virtually indistinguishable from the big drug companies it once tried so hard not to emulate. In case you missed the news, Amgen announced that it was borrowing $6 billion at attractive rates and buying back about $5 billion, or roughly 10 percent, of its stock during the next month. Engaging in complex buybacks and debt offerings is not exactly new for Amgen, which has tapped Wall Street repeatedly as it expanded from a startup to a growth company that created wealth through innovation and created two of the most widely used biologic therapies. It began its passage into the Big Pharma club earlier this year when it announced it would pay its first dividend. A quarterly payout of 28 cents per share commenced in September, and CFO Jonathan Peacock has vowed that rising dividends and buybacks will effectively return 60 cents of every dollar in profit to shareholders going forward. So much for reinvesting profits into innovation. Amgen, which earned nearly $1.3 billion on sales of $3.9 billion in the third quarter alone, heralded the stock buyback plan. CEO Kevin Sharer said it demonstrated “confidence in the future outlook of our business.” And Wall Street reacted positively, lifting the stock price by more than 5 percent to $58. But not everybody thinks stock buybacks and dividends are a sign of financial strength. Warren Buffett has famously refused to pay dividends, saying management’s job is to have better ideas for growing the business. Stock buybacks can be an expensive way to increase earnings per share because they reduce cash and, in this case, increase leverage. Indeed, Fitch reduced Amgen’s credit rating a notch to BBB, or low investment grade, after the buyback was announced. In the 1990s, Amgen was one of a handful of biotech companies that was able to achieve critical mass without selling out to a big pharmaceutical company. Its stock increased exponentially and traded at $60 per share in 1999. But for the past decade it has returned literally nothing to shareholders amid an investment environment that has looked with less favor on drug company stocks. During that time, Amgen has made acquisitions, diversified its product mix and been aggressive about expanding utilization of its drugs. So aggressive, in fact, that it recently paid $780 million to settle charges it engaged in an illegal kickback scheme to boost sales of one of its blockbuster anemia drugs. More than two years ago, Amgen’s longtime rival, Genentech, was acquired by Roche, a longtime minority owner of Genentech stock. 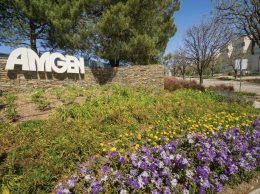 And while Amgen itself has been the subject of takeover speculation over the years, it has doggedly pursued a strategy of remaining independent. To stay independent, it has shed a lot of the growth culture that made it such a Wall Street darling. It has a series of investments in promising drugs that treat bone cancer and other life-threatening diseases, but with the cost of bringing a drug to market at $1 billion or more, it can only bet on a few drugs at a time. 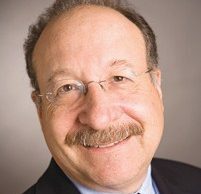 To cut those costs, it has outsourced much of its basic research to university labs that are doing the early stage work to identify promising therapies, which Amgen then acquires and brings through clinical trials. Meanwhile, Amgen’s financial maneuvers are good for headlines. In the short term, they may increase shareholder value. But they really don’t mean much to the fundamentals of Amgen’s business. The bottom line is that in trying so hard to preserve its independence, its Ventura County headquarters and some 5,500 jobs in the area, Amgen is starting to look a lot more like Roche, Merck or Pfizer. Those are precisely the companies whose mold Amgen tried to break when it pioneered its Epogen therapy a couple of decades ago. If it truly wants to keep breaking the mold, Amgen should be content to build cash, politely tell the Wall Street investment banks to take a hike, and create a bigger and even more diversified pipeline with a view that stretches the limits of imagination. That would be more like the Amgen that broke the mold for biotechnology companies and made its investors rich. And if we truly are on the verge of a new era of discovery in the area of gene-replacement drugs and nano-technology therapies, the reward for such risks could be huge. By paying out 60 percent of its profits to appease short sellers and Wall Street analysts, Amgen is going to enrich its top executives and its investment banks. But it may be dooming its shareholders to average or even below-average performance for decades to come.